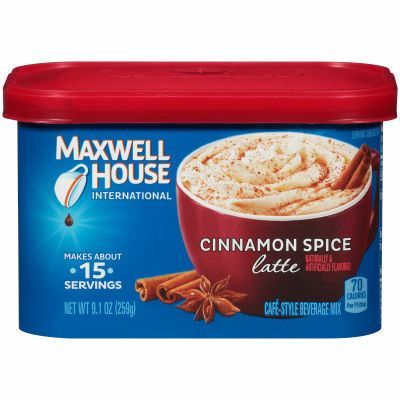 Maxwell House Cinnamon CoffeeMaxwell House Coffee is a welcome way to start your day, the sweet and creamy cinnamon flavor coffee creates a delicious, unique and divine taste. It contains natural and artificial flavor. You can easily prepare a creamy cup of coffee just to add hot water in it and enjoy! Bigger Energy BoostSome of the best coffee recipes involve regular good quality ground coffee beans, and natural spices. This coffee is rich and pure with a hint of cinnamon and spice to change your taste bud.Brew the coffee and see the magic!